If you drive a car, you must have auto insurance. This is a fact of life. Even if you have a flawless driving record and you’ve never made a claim you will still need to pay money to an insurance company in order to drive. By comparing rates and coverage you can save money, but make sure you get the best protection for your needs. It’s surprising how little it costs to add some coverage that could save you greatly in the event of an accident. Each state sets basically liability coverage you are required to carry, but these are just the minimum to legally drive. Consumer Reports recommends bodily injury liability coverage of $100,000 per person (and for uninsured drivers) and $300,000 per accident, plus $100,000 for property damage. 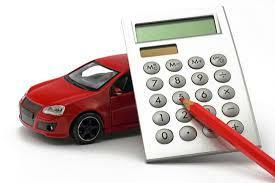 If you have a loan on your car then you will be required to purchase comprehensive and collision coverage also. You can set your deductible amount to make this affordable for you. Optional coverage includes rental reimbursement, which pays for a rental car while yours is being repaired, and roadside coverage, which covers the cost of towing your vehicle and other services. + Your credit-based insurance score matters. Insurance scores are derived from a person’s credit history. + Insurance may not cover you if your car is stolen, vandalized, or damaged. Comprehensive and collision coverage are optional, but they’re necessary to fully protect your vehicle. + Your insurance policy must pay damages even if someone else is driving your vehicle in an accident. This is because the auto insurance policy covering the car is considered the primary insurance.